Freedom fighter and academician Maulana Abul Kalam Azad was India's first Education Minister while Acharya J.B. Kripalani was the President of the Indian National Congress in 1947. 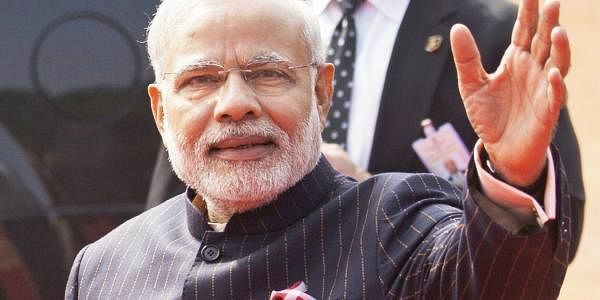 NEW DELHI: Prime Minister Narendra Modi on Saturday paid tributes to Maulana Abul Kalam Azad and Acharya J.B. Kripalani on their birth anniversaries. "Tributes to two stalwarts of Indian history,... Their contribution towards India's freedom movement and after, was extremely beneficial in building our nation," Modi said in a tweet. Azad, an academician and a freedom fighter, was India's first Education Minister, who laid the foundation for an educated nation. He was also a posthumous recipient of the Bharat Ratna, the highest civilian honour. His birthday is celebrated as "National Education Day" since 2008. Azad was born as Abul Kalam Ghulam Muhiyuddin in 1888 in Mecca (now Makkah). He passed away on February 22, 1958, in Delhi. Jivatram Bhagwandas Kripalani was also born in 1888 in Hyderabad now in Pakistan's Sindh province. In 1917, Kripalani first came into contact with Mahatma Gandhi during the Champaran Satyagraha which turned him into a fully dedicated nationalist. He was the President of the Indian National Congress during the transfer of power from the British in 1947. Acharya Kripalani passed away on March 19, 1982.